Audit diagrams document and analyze processes such as financial transactions and inventory management. Select the Templates tab in the backstage and then select Business > Audit Diagram. 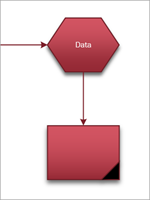 Choose the audit diagram you wish to start with and select Create. Drag a shape from a stencil onto the drawing page and position it near or over the shape you wish to connect it to. Blue triangles will appear. While still holding down the mouse button, drag the shape over one of the blue triangles so that it turns dark blue. Release the mouse button. The shape is placed on the drawing page, and a connector is added and glued to both shapes. To add text to a shape, select it, and then type. In a flowchart, select the shapes that you want to number. 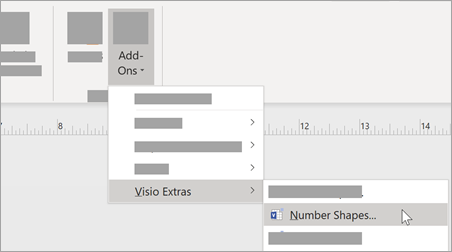 On the View tab, select Add-Ons > Visio Extras. On the General tab, under Operation, select Auto Number. Under Apply to, click Selected Shapes, and then click OK. Tip: To number new flowchart shapes as they are dragged onto the page, in the Number Shapes dialog box, click Continue numbering shapes as dropped on page. 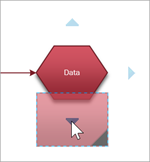 In the Visio app, on the File menu, point to New, point to Business, and then click Audit Diagram. For each step in the process you are documenting, drag a flowchart shape onto your drawing. Drag a shape from a stencil onto the drawing page and position it near another shape. While still holding down the mouse button, move the pointer over one of the blue triangles. The triangle turns dark blue. On the Tools menu, point to Add-Ons, and then click Number Shapes. On the General tab, under Operation, click Auto Number. Under Apply To, click Selected Shapes, and then click OK.